Sombath Somphone was born into a farming family in Khammouane Province, Laos, the eldest of eight brothers and sisters. In the early 1970’s he received a scholarship to study at the University of Hawaii where he received a BA in Education (1974) and an MA in Agriculture (1978). 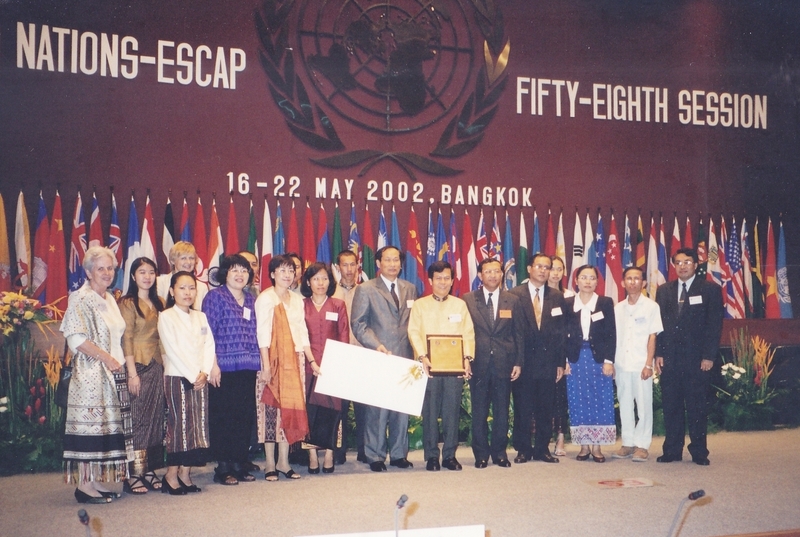 Returning to his home country after independence, Sombath’s initial work was on promoting low-cost methods of improving farm production and food security. Later, he pioneered the use of participatory rural appraisal techniques in Laos. In 1996, he established the Participatory Development Training Center, PADETC, to provide training for youth, and local government officials in community-based development. In June, 2012, Sombath retired from his position as Director of PADETC, intending to spend more time with his familiy, meditating and writing. More about Sombath can be found in a biography written when he received the Magsaysay Award, or at his page on Wikipedia. There are also pages about Sombath on the PADETC and Saoban websites. Finally, this website includes more about Sombath on the the Sombath’s Work, Letters to Sombath, and Inspiration Tree pages. The reaction to Sombath’s disappearance was immediate and global. Statements and appeals have come from governments, organisations and individuals throughout the world. News coverage has been widespread and sustained. Numerous events have been organised, and thousands of people are asking ‘Where is Sombath’? In the years following the 1975 revolution, while tens of thousands of people were fleeing Laos, Sombath chose to return from his studies to help rebuild his homeland. Laos…by the Numbers, includes brief summaries about the Lao PDR’s rankings in various global reports and indexes. What is…? includes short descriptions of concepts and international conventions related to human rights. UPR recommendations lists the 196 recommendations from the Lao PDR’s 2015 Universal Periodic review, along with the government’s responses.